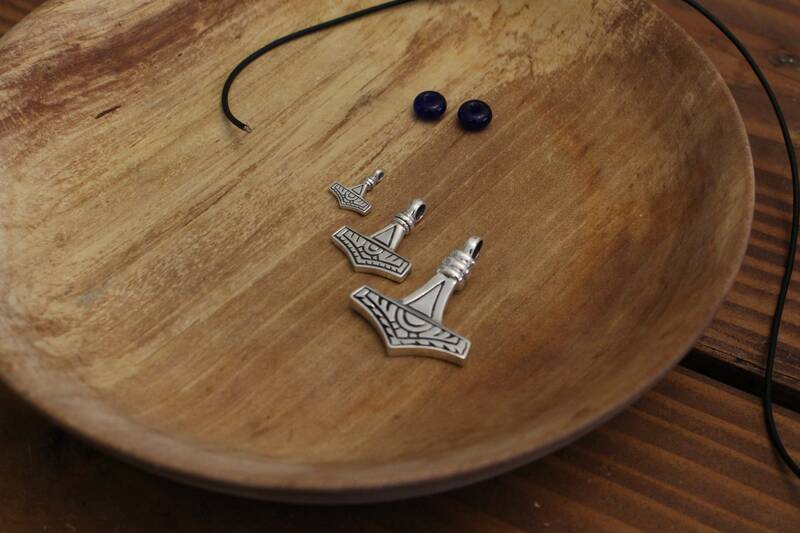 This pendant is a direct replica of a tenth century Mjölnir (Thor’s hammer) amulet found in Gotland, current day Sweden. The design varies slightly on each side, and it can be worn on either. Likely, the images represent a sun and the moon (seen in pictures 1 and 2 above). 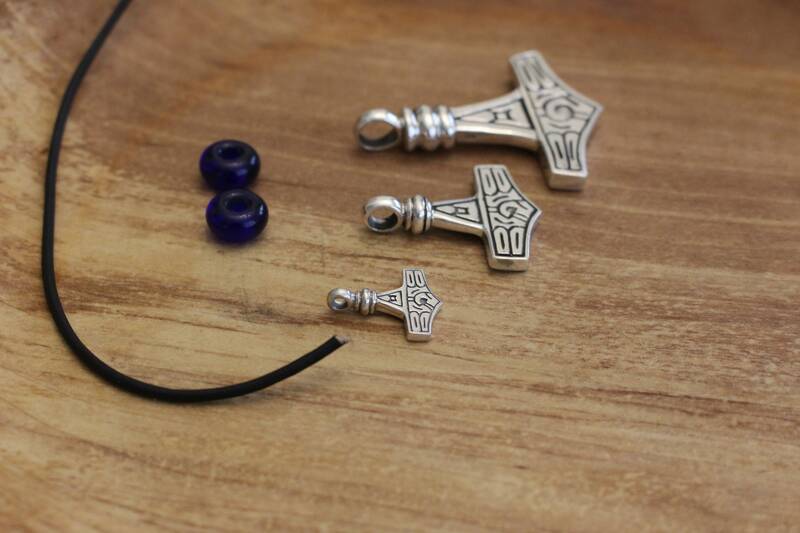 It comes with a genuine leather cord and you can opt for traditionally made glass beads to string alongside it (which are based on Norwegian Iron Age archaeological findings)! 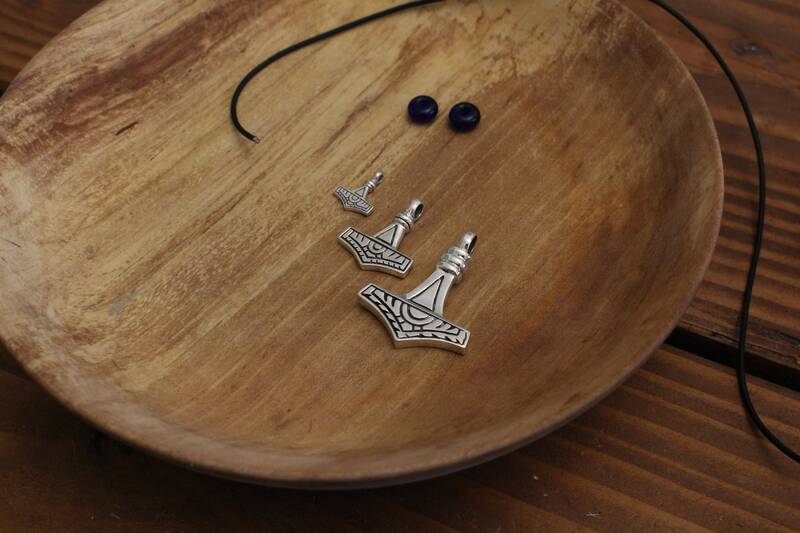 You can also just purchase the pendant. In Norse Mythology, Sól and Máni are a cosmological sister and brother pair that respectively lead the sun and the moon through the skies. They are perpetually chased by the wolves Sköll and Hati, and will be devoured by them during Ragnarök. If you have additional questions, please do not hesitate to message me at any time! 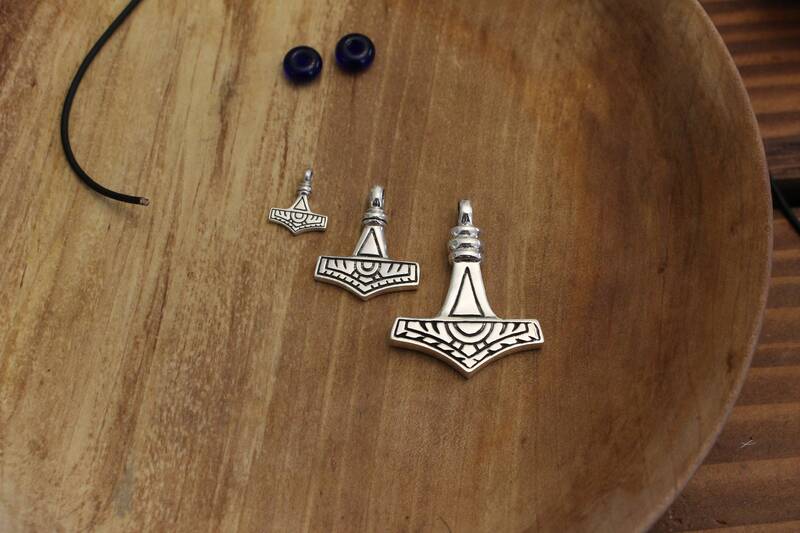 In Norse mythology, Mjölnir is the hammer of the god Thor. 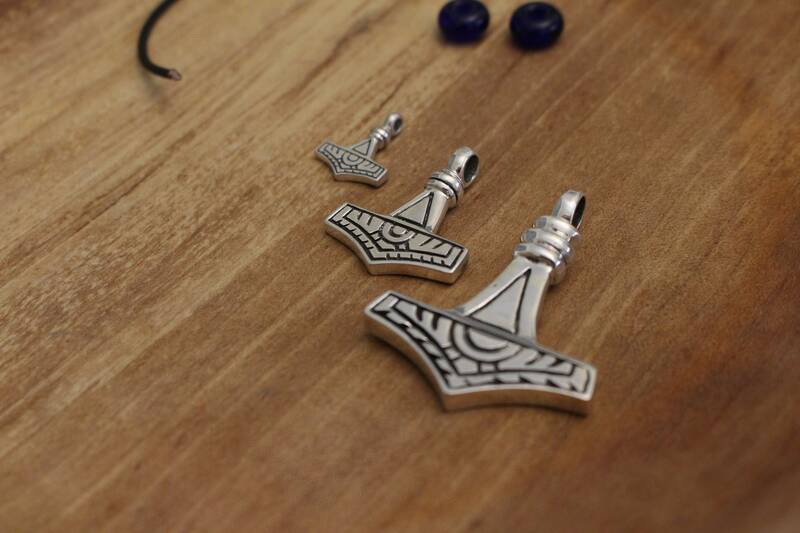 Silver and bronze pendants of the hammer are some of the most commonly found jewelry artifacts of the Viking age. 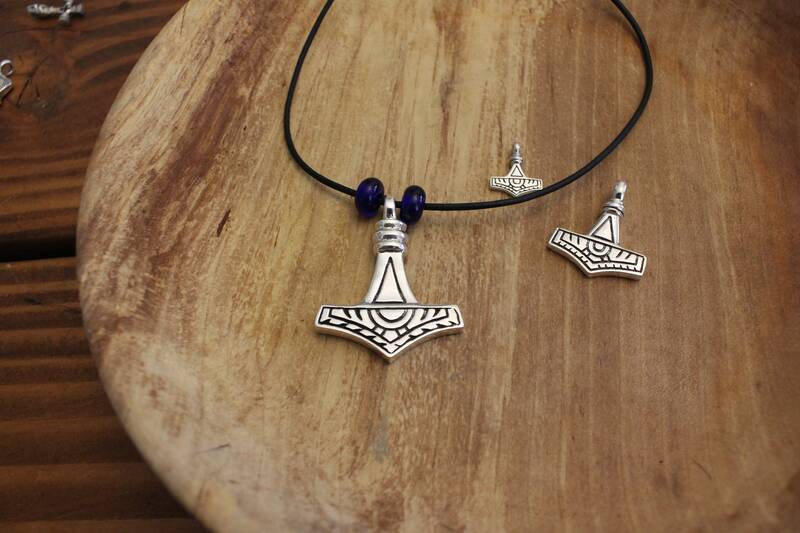 Thor resonated (and was quite popular) with common people, so Mjölnir was a symbol many Norse people could connect with and utilize as a form of identity and allegiance. The word itself directly translates to “crusher” or something similar. 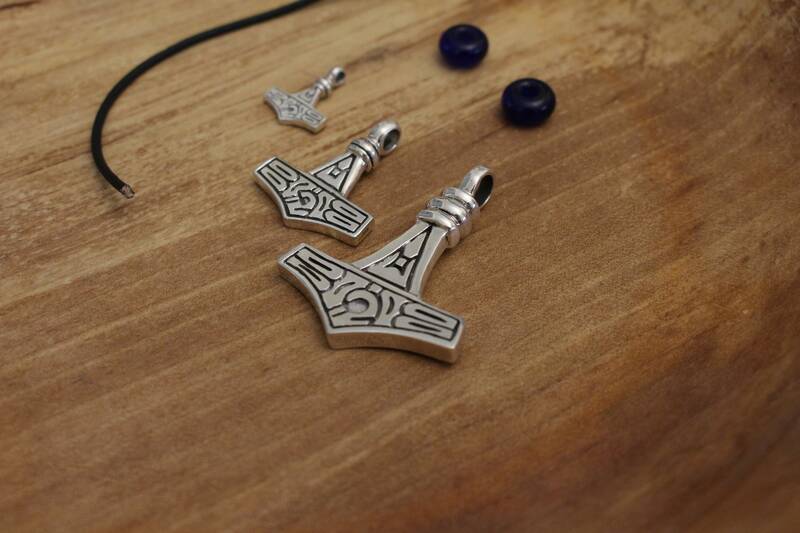 Mjölnir itself possessed powerful magical properties, imbued during its creation. According to Snorri’s Prose Edda, when thrown by Thor, it never missed its target, and it always came back to him. 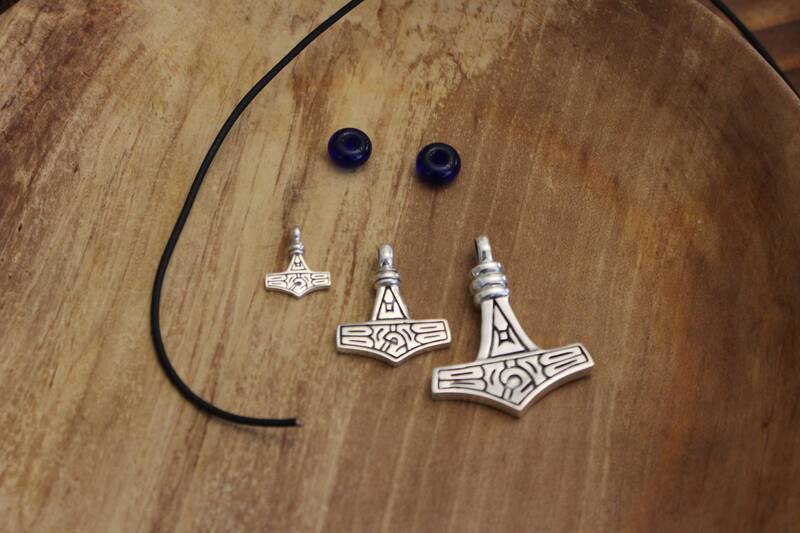 It can also be shrunken small so it can be worn in a pocket of Thor’s, or perhaps as an amulet by the god. The hammer’s defining characteristic is its unintentionally short handle/shaft, a result of Loki terrorizing the blacksmithing dwarves Eitri and Brokkr while they forged it.